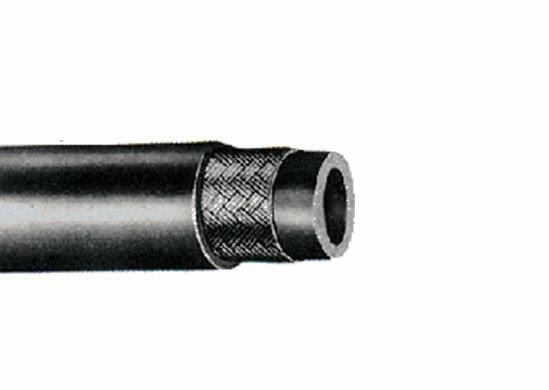 A rubber hydraulic hose is an artificial rubber hose, which could withhold high drive. 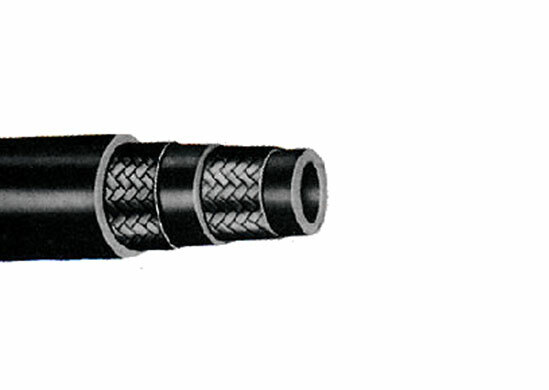 The rubber hydraulic hose is principally used to transfuse liquid power or liquid inside water driven hardware. This tube is covered with an inner rubber layer, steel wire spiral layer, a middle rubber layer and exterior rubber cover. Thus inner rubber insurance plan layer proof against beverages and preserve the metal wire winding layer from consumption. This external rubber cowl protects the metal wire spiral layer towards harm. While the metal wire winding layer assumes a part in bones of a human. Medium / high pressure hydraulic oil lines, fuel oil, gasoline, water. Tube: Black, oil resistant synthetic latex. Reinforcement: One ply twisted high tensil steel wire. Cover: Weather & abrasion resistant synthetic rubber. -40 °F to +200 °F, -40 °C to + 93 °C, Ocassional use upto 120 Deg. C.
High pressure hydraulic oil lines, fuel oil, gasoline, water. Tube: Black, grease resistant synthetic latex. Reinforcement: Two ply twisted high tensil steel cable. Cover: Weather & abrasion resistant synthetic rubber. For usage on hi-tempreature fluids and steam. Tube: Seamless synthetic heat resistant rubber tube. 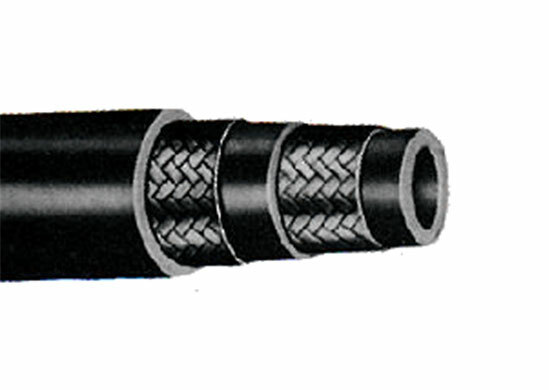 Reinforcement: SR-71 One ply HTS hydraulic twisted cable. 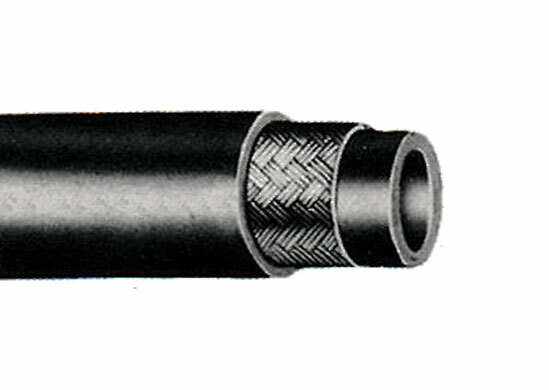 SR-72 Two ply HTS twisted cable. Cover: Weather & abrasion resistant synthetic black rubber. TEMPREATURE: + 350 °F upto+ 175 °C, for pressure150 and 200 PSI of steam. Hydraulic oil, fuel oil, anti-freeze solutions and water. Tube: Black, grease resistant synthetic latex. Reinforcement: Two hydraulic braids high tenacity rayon. Cover: Weather & abrasion resistant synthetic rubber.